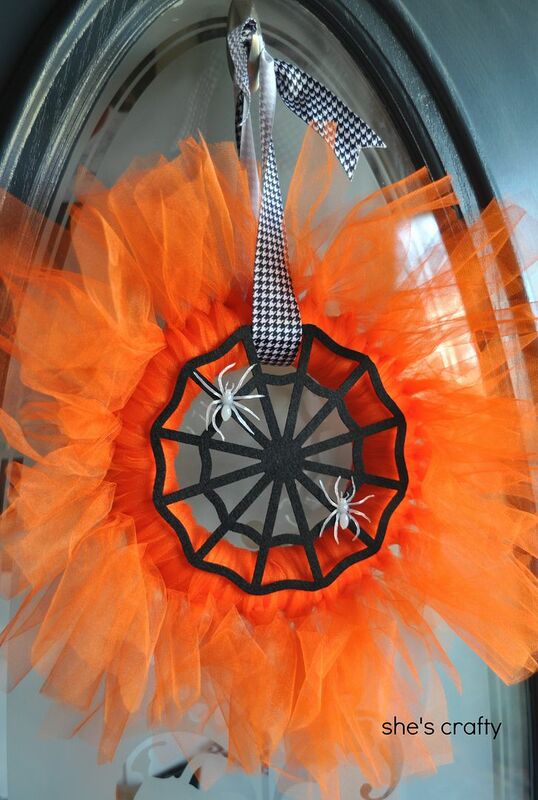 I'm in the last minute Halloween decorating crunch. 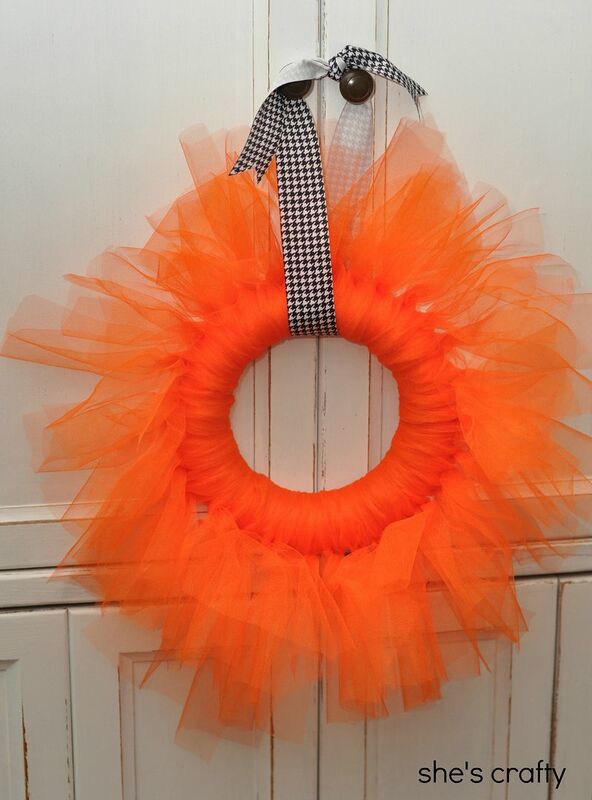 I updated my tulle wreath for Halloween. It originally looked like this. 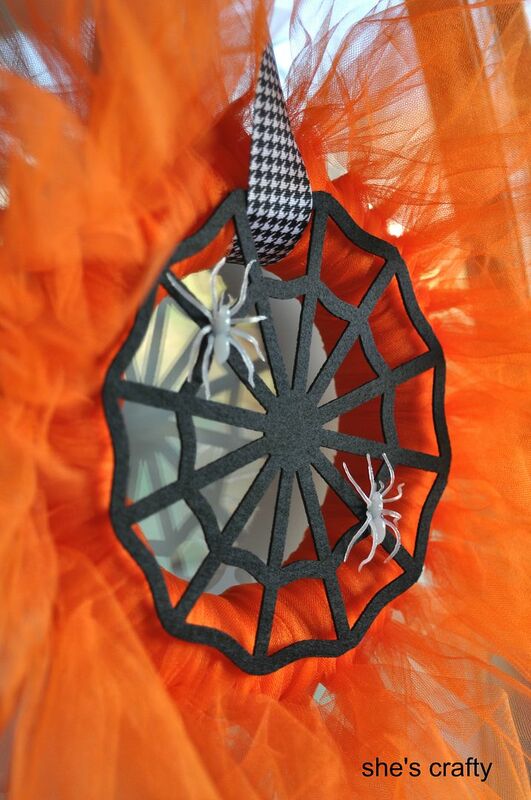 I simply hot glued a felt spider web and some glow in the dark spiders to it. 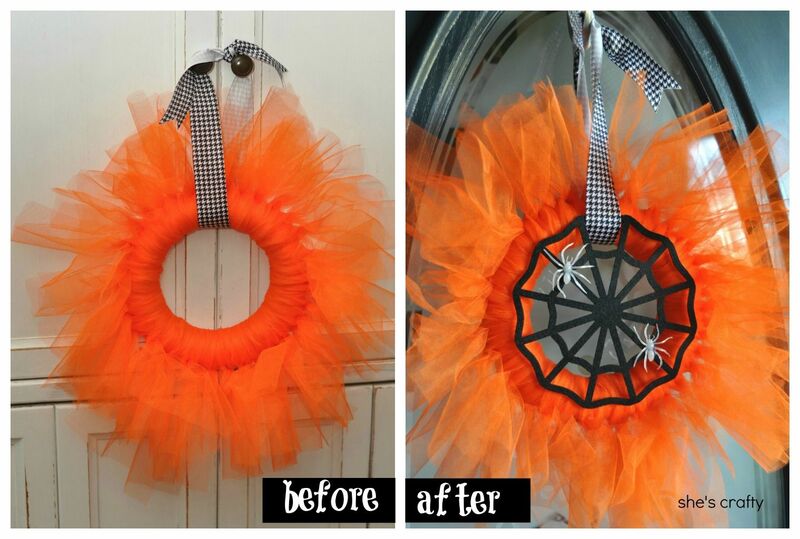 A cute and easy update for Halloween! You really are the craftiest person I know.... sooo cute!